In today's fast-paced world, creative people are as eager as ever to pursue their artistic passions, but many of them simply don't have enough time. 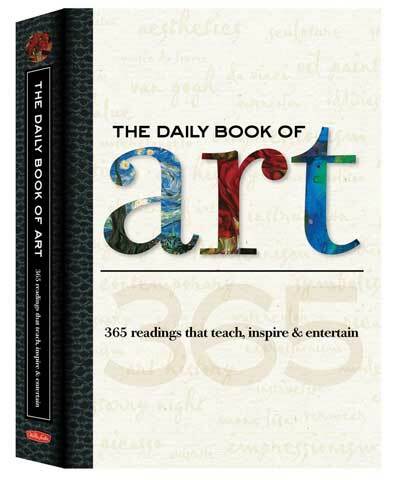 A perfect remedy for over-burdened artists, the Daily Book of Art includes a year's worth of brief daily readings and lessons about the visual arts that entertain as they inform. The book rotates through ten exciting categories of discussion throughout the course of a year, giving readers a well-rounded experience in the art world. From art history and art around the world to color psychology and aesthetic philosophy, art-starved readers will encounter a broad range of inspiring subjects. The 376-page hardcover book measures 5-1/2" x 8" and features a ribbon bookmark.